Erik Dahl is looking forward to the Jr. Wildcats hosting the first IHAAZ festival of the season in Tucson in December. The festival is slated for Dec. 7-9. But preparing for a festival, as exciting and fun as it is, requires a lot of work to make sure everything is ready to go for the teams that will compete in an always fun and competitive atmosphere. “There are a lot of behind-the-scenes things that go into hosting a tournament, from organizing basket raffles to raise money to helping clean the rink,” Dahl said. Last season, Dahl came up with what he hopes turns into a tradition in Tucson in regard to preparation for a festival. It revolves around getting families more involved. It seems to have worked out well so far. And while a lot of work goes into it, it’s worth the time and effort that goes into it. 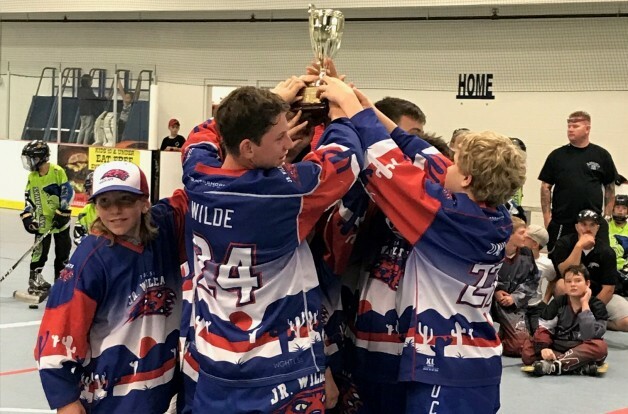 As big of a deal as it is to host a festival, it’s expected to be a big year for the Jr. Wildcats, who, for the first time, will have a team in each of the five age divisions in the league. The program started out with two teams when it joined the league in 2015. Dahl has high expectations for the season ahead for the Jr. Wildcats as a whole. Finding the right mix of coaches is something Dahl believes will aid the progress of the program. Coaches such as Josh Smith, Anthony Hammermaster and Brian Hillegonds have stepped up to help out fellow coaches David Sticker, Kurt Beutel and Mike Richardson. The latter three all coached last season with the Jr. Wildcats. Just as the Jr. Wildcats continue to thrive, IHAAZ does as well. Tucson in particular has continued to see the popularity of inline hockey rise. “Our club continues to see steady growth and our rec program adds new players every season,” Dahl said. “In Tucson, we’re seeing a lot of players playing inline and ice hockey, and quite a few new players come to us when the ice season ends to keep playing. And many of them never stop playing inline.